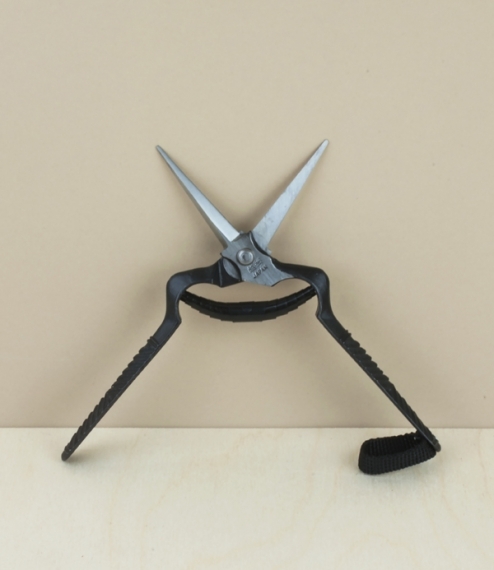 Kijo lightweight by-pass pruning shears from Japan, sprung in the eastern style with a looped wire spring similar to a safety pin. 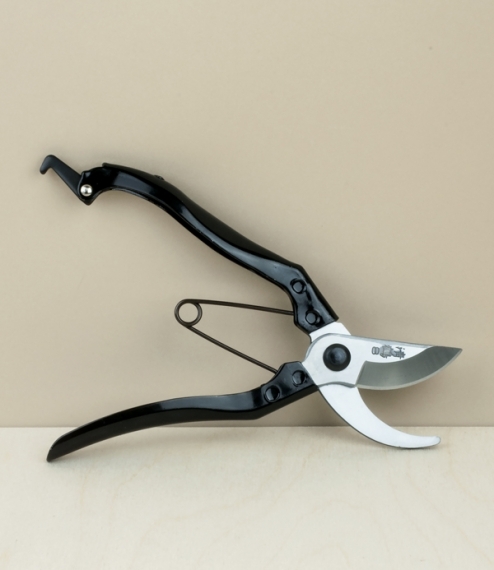 These have tempered hardened carbon steel blades, steel handles bonded to a special easy grip non-slip coating, and a sprung catch to secure them closed. Suitable for light to medium weight pruning, green and woody shoots up to 15-20mm in diameter. Overall length 20cm.